With any article I sit down to write for the blog, or any campaign I'm asked to work on, my very first question is always, "What will the reader get out of it?" After all, it's you the readers that make blogging fun and, more importantly, worthwhile. We have quite a range of women in this group, from many different walks of life. Many of you are small business owners or creative freelancers. There's a good mix of fellow bloggers, too, along with amazing homemakers, wanderlusting gypsies and a younger crowd that is only beginning to figure out who they want to be. What brings us all together, however, is a deeply rooted desire to never settle for mediocrity and to seek out beauty in the everyday life. I may feel like I have a pretty good grip on what your interests may be, but I never like to assume, which is why I periodically ask you to provide feedback on what topics you find interesting and what you want to read about in the future. I've designed a quick survey and encourage you to enter and share your thoughts, below. It will only take you a few moments and will really help guide this year's editorial calendar for the FOXY OXIE Blog, as well as any future campaigns and collaborations I choose to work on. Thank you all so much for your continuous support and encouragement that you bless me with! I cannot thank you enough for continuing to return to this little space on the Internet! 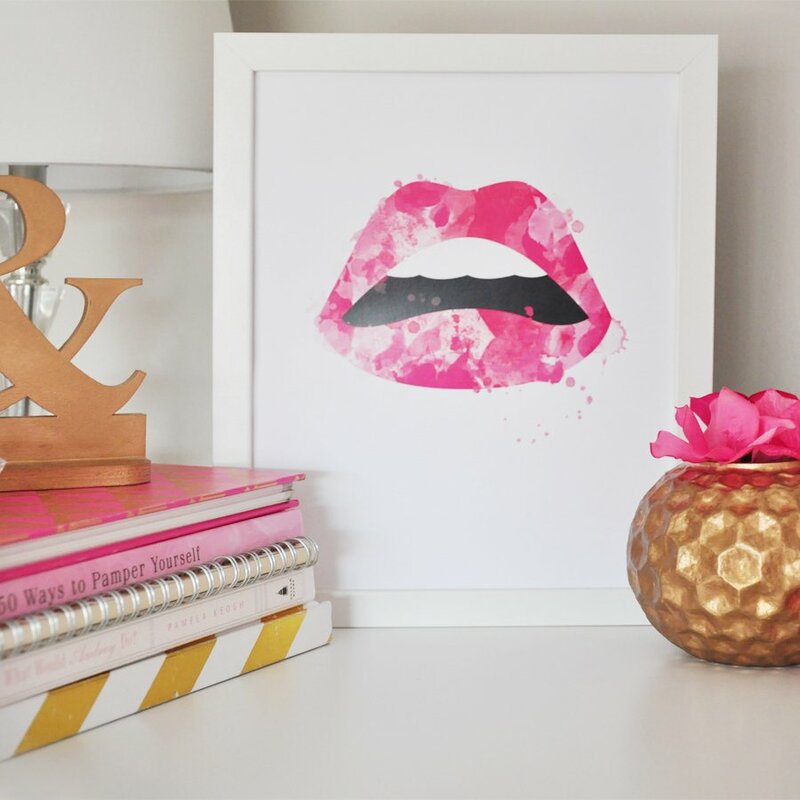 As a small token of my appreciation for all who participate in the survey, I'm giving away one "Luscious Lips" art print from the FOXY OXIE Shop to one lucky reader – printed on high-quality card stock paper, packaged with love and shipped to arrive right in time for Valentine's Day! Be sure to pay special attention to the total number of questions in the survey – that's your ticket to enter the giveaway! ;) I've also offered three optional ways to enter if you'd like to increase your chances of winning! LOVED the survey and I entered the giveaway! Super cool print! I definitely need to do a survey like this one. What an awesome idea. Love that print. Just filled out your survey. I’ve been meaning to do one too. Thanks so much, Elana! It’s quite interesting to see readers’ responses, not to mention beneficial! That print is so perfect! Love the pink. Love that print! I’m designing my home office as we speak and it would look so great up on my wall! I think this is such a smart idea to better understand your audience and get a feel for what they enjoy! Also this print is so amazing and chic, love it!! I really want to do a reader survey for my blog later this year- I bet the results are so helpful!! I love this print! It would be perfect on my desk!